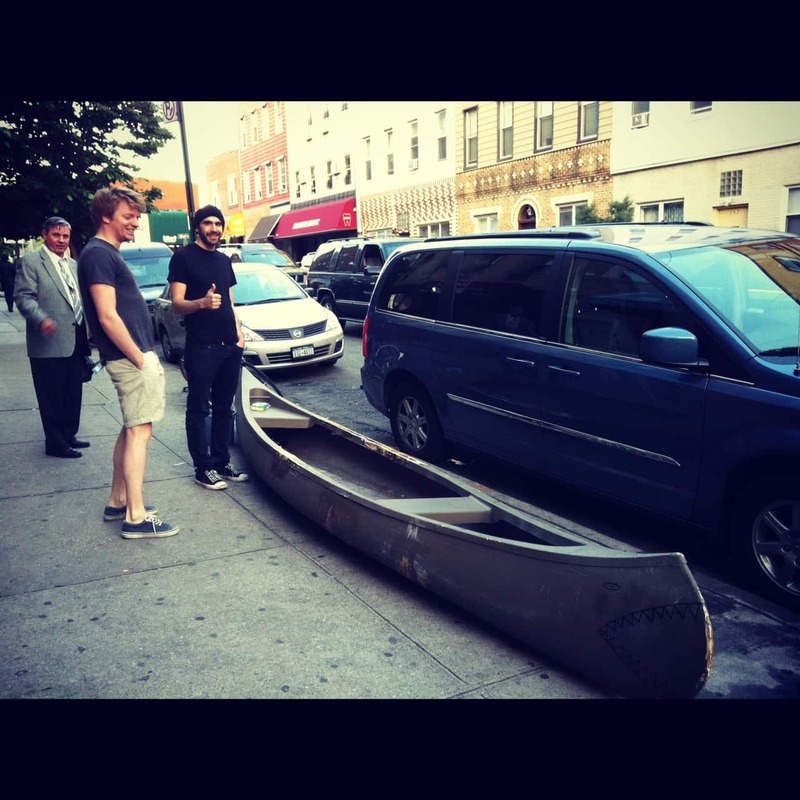 These guys: (left to right) Rowland and Joe’s appropriately named canoe “Shart Attack” embarked from the Sewage Treatment Plant Nature Walk yesterday. The canoe was quite a looker on Driggs as they gave it a good scrub down. 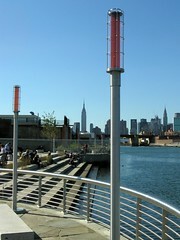 We couldn’t help but take a step back when they told us it just came out of the Newtown Creek. Rowland assured us it was a great ride and the water doesn’t look dirty. And, there were signs of life, fish, mussels, clams, ducks and cormorants. “Not yet,” Joe said as he puffed a smoke. I guess a ride on the Creek is less harmful than nicotene and unlike the Gowanus, it won’t give you gonorrhea. We have something going for us over here in Greenpoint! But, just because it’s contaminated doesn’t mean we should give up on the Newtown Creek. As my Mom says, “use it or lose it!” The more we get out there and the more awareness we bring to the problems, the better chance we have of revitalizing the creek. ← SUNDAY (EVENING) SNAPS: WELCOME TO GREENPOINT!